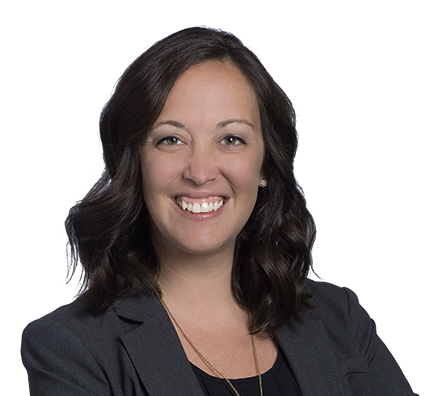 Influenced by a family of educators, Elizabeth greatly enjoys working with her educational institution clients, providing legal counseling, offering training and policy development, and conducting investigations. Elizabeth serves educational institutions in various areas of compliance. She supports colleges, universities, and schools with day-to-day counsel, investigations, training, and policy and system development. She draws on her experience as an attorney for the U.S. Department of Education, Office for Civil Rights (OCR), in supporting institutional nondiscrimination efforts, including compliance with Federal civil rights statutes and regulations such as Title IX, the Americans with Disabilities Act/Section 504 and Title IV of the Civil Rights Act. Elizabeth frequently conducts internal investigations for institutions—handling various student conduct, employment and discrimination matters. Elizabeth also provides guidance on administration of Title IV Federal student aid programs, the “hook” for numerous other compliance requirements—like nondiscrimination, disclosure and accreditation requirements—for participating colleges and universities. She applies her understanding of complex Title IV regulations in reviewing and advising on internal operations. Elizabeth’s practice includes auditing institutional compliance in nondiscrimination and Title IV Federal student aid systems, making recommendations for risk mitigation and institutional improvement. Elizabeth’s previous experience with OCR uniquely positions her to help clients respond to and avoid government investigations. After years working in the enforcement posture, Elizabeth embraces the opportunity to work with her clients to take proactive and preventative steps to better the institution and avoid risk. She especially enjoys the proactive aspect of her work, relieving the institutions of potential legal concerns and allowing them to focus on their missions. Channeling her inner educator, Elizabeth enjoys spending time on-site with administrator and educator clients training administration, faculty and staff on how best to support compliance and best practices in institutional operations. Elizabeth enjoys spending time outside with her husband and three boys. She and her high-energy family stay active hiking, biking and walking the local trails. Elizabeth volunteers to raise scholarship money and awareness about Catholic education. She serves on the Strategy Growth Committee of the Catholic Education Foundation to help raise scholarship money for families to send their children to Catholic schools in the Kansas City area.